Switch up your indoor classes and inspire your participants to enjoy the sunshine and fresh air. It’s that time of year when springtime reinvigorates clients and participants, coaxing them to come out of hibernation and play. Why not leave the fluorescent lights behind and take class outside? 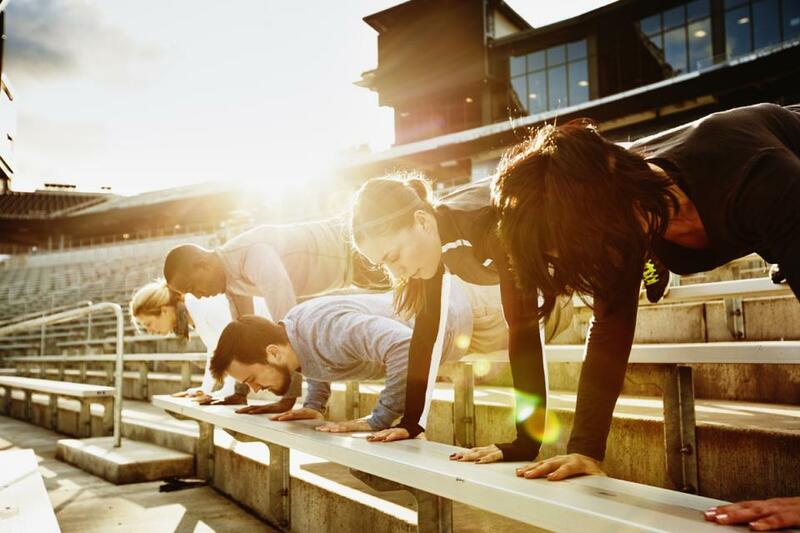 Parks, fields, even parking lots are great places to lead outdoor workouts. There are options for everyone—and you don’t have to lug around a bunch of equipment, either. Maximize your time and space by incorporating simple, effective body-weight exercises that improve strength, speed, power and flexibility. Irene Lewis-McCormick, MS, C.S.C.S. is an international fitness educator, twice published author (Human Kinetics) and 30-year fitness industry veteran. Irene is faculty at Drake University in Des Moines, Iowa and SCW Fitness. She is the Education Director for Octane Fitness, an Orangetheory Fitness coach and a RYKA Fitness Ambassador. Irene contributes to several fitness and consumer publications, is a Subject Matter Expert (SME) for ACE and NASM, an IDEA Fitness Expert, and contributing author to the newest release of the AFAA Group Fitness Instructor Manual. Irene holds positions on the advisory board for Diabetic Living magazine and the Egg Nutrition Council. Irene has starred in dozens of DVD's, has written 13 fitness instructional manuals (pre-natal, water fitness, small group training, kids fitness, HIIT program design, strength training, group exercise, etc.) and is a master trainer for TRX, Savvier Fitness, Power Systems, SCW Fitness Education, JumpSport and KnotOut. Her primary certifications include NSCA, ACE, ACSM, AEA, AFAA and YogaFit. ... read more.